Debt Settlement...How Does it Work? Given the right circumstances, a Debt Settlement Program is an option that can give you freedom from debt! 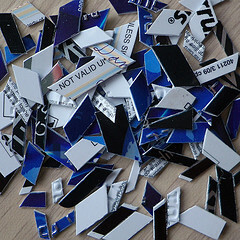 Let's face it, credit and credit cards are something most people deal with every day. You get an offer for a credit card with 0% and fees (for 6 to 12 months at least). All you have to do is fill out the form and submit. At first, you use the card to buy some items that may be just a little bit too expensive for you you right now, but, with a minimum payment of only $50 or so,why not? "I can afford a $200 or so each month...Why not?" Sure, you can afford the total minimum payments due each month of about $200. Too little fixed income after retirement! When your cannot keep up with the minimum payments, it doesn't take long to realize that you are in trouble!!! A lot of people start taking cash advances from one card to make the payments on the others. This is just putting off the inevitable! You may be able to take out a second mortgage, but this has dangers as well. Be very careful here! 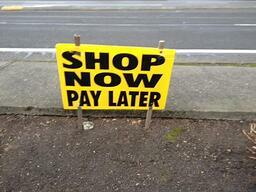 Please don't be fooled into getting one of the "PayDay Loans"! These "lender traps" may end up costing you very high interest rates (I've seen them as high as 85%), making it almost impossible to ever repay! A Debt Settlement Program may be the answer. If you haven't stopped making of payments to your creditors, rather than continue this process, you will start making a payment (really a deposit) to an account set up for you at an FDIC bank. Your account will start to grow, which will allow for negotiations (more later). The creditors and debt collectors will be calling and sending letters. Yes, your "original" creditor (Visa, Citibank, Home Depot,etc.) can legally call you about your account. You gave permission (all the fine print) when you signed up. You will also be getting letters from your creditors or debt collectors. They may offer some kind of "hardship plan" to help you get caught up, but most of these are just a trick to get you to keep paying, and paying, and paying! Debt Collection companies (and sometimes the original creditor) are usually willing to accept a SETTLEMENT for less than the balance due. The original creditor may just want to clear up old debts and charge off your account as a loss to their over-all profit/loss for tax purposes. They have figured in how much "loss or breakage" they can accept and still be profitable! They may have ASSIGNED your account to a debt collector who will get paid a percentage from what they are able to collect from you. The original creditor may also charge off your account and SELL the account to a debt collector who is also a DEBT BUYER. There are millions (possibly Billions) of dollars of "debt" bought and sold for literally "pennies-on-the-dollar". Whether you account was assigned or sold to a debt collector, you can see that they may be open to a settlement. You have a Citibank Card with a balance of $10,000. It was sold to XYZ Debt Collection Services for $500...that's right..."pennies-the-dollar"! Do you think they might be open to a settlement of say...$3,000 - $5,000? As time goes by, one-by-one, your accounts are settled and your Credit Report shows a $0 balance! But, doesn't that sound great? What Can a Debt Management Company Really Do For Me? Recently, I had to testify in a trial involving one of our past clients. And, just like I'd seen on TV or at the movies, I was sworn in, sat in the witness box and the attorneys for both the prosecution and defense asked me a few questions. The first attorney started off by asking, "Mr. Fontaine, what is a Debt Management Company?" As co-founder and owner of Debt Relief NW, LLC, I've been asked that question hundreds of times. I had been told to keep my answers brief and to the point if asked to explain, etc. "Debt Relief NW helps people with severe debt issues find the best solution to deal with their debt." Short and to the point....yes. But, there's a lot more to it! What people really want to know is, "What can a Debt Management Company really do for me?" First, it is very important that you only deal with a reputable debt management company that is registered in their state. As with any profession or business, there are always a few "rotten apples in the barrel". We have had many clients come to us over the last 15 years or so after they had been taken advantage of by crooked debt management/settlement companies! Here in Oregon, each debt management company is required to be registered and comply with the statutes governing such companies. They have some very good insight into looking for a reputable debt management company that you should check out at Debt Management/Managing Your Debt. In the article, they advise you to make sure the company you are considering is in fact, registered. To check, click here. Too little income after retirement! When this happens, people will use credit cards to help with the intention of "paying them off" when things get better. 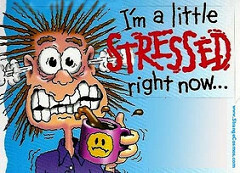 But, sometimes, those balances and the corresponding minimum required payments are just too much to handle....NOW WHAT! We do not believe that "One size fits all" when it comes to dealing with too much debt! Even though every situation may seem similar, in most cases, there are always several circumstances that have to be taken into consideration BEFORE we can recommend the right solution. Again, the first step into finding the proper solution to your particular situation is to take the time to find out exactly where you stand in regards to your income/outgo....ie. a monthly household budget!
" I had no idea I had this much debt and/or had this little money left over!" Once we/they can see exactly where they are, then we can start to find the best solution. If you have been making the minimum required payments on your credit cards and other unsecured accounts, but the balances are barely coming down, then it may be time for you to enroll in a credit (or debt management) counseling program. These accounts have not been turned over to a debt collection company....yet. If you qualify (there are several hoops to jump through), this type of program can help. The Debt Management Company will contact each creditor and arranged a plan to get your accounts paid off, usually in about 48 months or so. You will make ONE PAYMENT to the Debt Management Company and it will be divided and paid out to each creditor per the agreement. The problem with such plans is that sometimes the total monthly payment required may be the same or in some cases, a little more than the total of the current minimum payments! If you are having trouble making the minimum payments now, most likely you will not be a candidate for a Credit Counseling/Debt Management Program. A Debt Settlement Program may be the best solution. Most prospects for a Debt Settlement Program have missed or stop making payments altogether to their creditors. Their accounts have been turned over to a Debt Collector (or are about to be) and you have been getting calls and nasty letters. If an original creditor feels like they will not be able to get you to keep up/catch up with the payments due on your account, they may charge that account off as a loss and sell or transfer that account to a debt collector. Again, depending on your circumstances and particular situation, you may be a candidate for a SETTLEMENT on your account. You will be making a monthly payment into an FDIC Bank account that will be used to negotiate settlements in the future. This payment will be much less than the total minimum required payments due now. Your payment will fit into your particular budget. The debt collection company (or in some case the original creditor) may be willing to take less than the full amount to "settle" this debt. This could be 50% or less, again, depending on circumstances. Either way, your account will now show that you did something about it and now it has a $0 balance! As each of your accounts are settled, your credit score will start to improve/increase. But, what is the only option if you simply have too little or nothing to contribute towards either program? Bankruptcy, in my opinion, should be the last solution after all other solutions are examined and/or tried. When I am negotiating with a debt collector for one of my clients, I will have to remind them that we are attempting to negotiate settlements rather that having our client seek BANKRUPTCY PROTECTION. That is what the bankruptcy laws were intended to do...protect a person's property from absolute ruin and detestation! We do everything we can to help a client with finding the best solution/program to help with their debt problems, but in some cases, bankruptcy is the best solution. Make sure you interview at least a couple of bankruptcy attorneys to make sure you feel comfortable with them and their experience. FINALLY... What can a Debt Management Company do for you? Help eliminate the fear and stress that comes with having too much debt! Help find the best solution to fit your particular situation. Help get you back to being DEBT FREE once again! Can Debt Settlement Improve My Credit Score? Debt Settlement is an option to clear old debts and improve your credit score. Getting a second Mortgage or even what's called an "Equity Line of Credit" through your bank or another lending institution, may be possible with lower than normal credit scores. Just be very careful and do your homework and math to make sure that the lender is not charging you such a high rate of interest or fees that this type of loan makes no sense in the long run!!! The calculations to determine a credit score in fairly complicated, but one of the most important or "weighted" portions of that calculation is the ration of current debt to the total available debt you have. Let's say you have 5 credit cards with a total available credit of $20,000. You have maxed-out 4 of the 5 for a total of $15,000 of debt. That's high as far as the Credit Bureaus evaluate your "credit worthiness" with a credit score! So, even if you do qualify for a Consolidation Loan, your credit score may not improve quickly! Debt Management is what we used to be referred to as Credit Counseling a few years ago. In a Debt Management Program, each of your creditors agrees to lower you interest rate and may forgive or bring current late fees, etc. Each creditor is a little different. Your total monthly payments on all of your debts may not be less! But, being enrolled in a program like Debt Management, will not quickly improve or change your credit scores! If you miss a scheduled payment, you may void the agreement and you are right back where you started. Before you enroll in one of these programs, you might consider and even do much better by looking into a DEBT ACCELERATOR PROGRAM. Total Balances of you debt reduced by 50% or more! 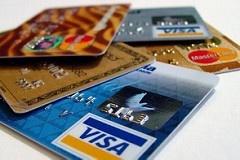 Ultimately Improve your Credit Score! A Debt Settlement Program is for someone who is going through a very tough time, especially in the financial area! Most of your accounts are either delinquent or about to become severely "behind". You've probably had one or more of your accounts turned over to a Debt Collector and are enduring the constant phone calls and letters. Rather than continuing to make minimum monthly payments on your accounts, you will be making a monthly payment that FITS YOUR BUDGET into a FDIC insured bank account. As these funds are growing, negotiations with your creditors and debt collectors begin to arrange a SETTLEMENT AGREEMENT. The final settlement amount varies, depending on a number of circumstances, but settlements of 50% or less are not uncommon. But, will Debt Settlement Improve your credit score? How much credit are you carrying now? Credit History...not just late payments, but how long and how have you handled your credit payments over time? 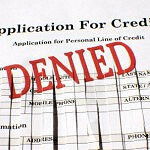 What is your "credit worthiness"...If a loan is granted, what is the likelihood that you can and will repay as agreed? Just because you have fiancial trouble now or in the past IS NOT an automatic DECLINE OF CREDIT! When you have had all of your accounts settled with a ZERO BALANCE, you will be offered NEW CREDIT as your Credit Scores will have improved. What a Debt Collector Can and Cannot Do...Know Your Rights! You do not have to put up with debt collection harassment, but you need to know your rights under the Fair Debt Collection Practices Act in order to put a stop to it! Our nation's consumer protection agency is call the Federal Trade Commission or FTC. This agency enforces the Fair Debt Collection Practices Act or FDCPA. The FDCPA was designed to put a stop to abusive and unlawful attempts by debt collectors to collect debt. Debt Collectors are strictly prohibited from using unfair or deceptive techniques in their debt collection activity. The FDCPA does not include debts you may have incurred in order to operate a business. So, what happens if you find yourself in a financial situation where you can no longer meet the terms of your loan or credit account? Once your account has been charged off by the original creditor and placed with a collection agency, the telephone calls will start. This is the most abused type of debt collection activity, but you have rights that you must not only be aware of, but take advantage of! Unless you agree to it (and who would), a debt collector cannot call you before 8am or after 9pm. They also are prohibited from calling many, many times during the day. Many debt collection agencies use an automated dialer to make thousands of calls a day, hoping to catch someone. If you have the address of the debt collector (from one of the many letters you have no doubt received by now), then don't answer. Your caller ID should indicate an "unknown" number or a number that is certainly not one of your family or friends. If you (or perhaps one of your family should answer by mistake), briefly tell the debt collector that you are working on the problem and will get back to them...then HANG UP! REMEMBER...Debt Collectors are professionally trained to get you to agree to pay back your debt right away! Trying to explain your circumstances hoping for some understanding and/or sympathy is usually a waste of your time. If you don't have the address of the debt collector (I'll explain why in a minute), then ask for it from the debt collector or at least get the debt collector to identify the company. Now, you can go on line to get the address...WHY? Because the FDCPA specifies that once a debt collector has received a written demand to stop placing calls to you, they must stop! They are allowed one more call to tell you they got your letter and will not call again or that they intend to take further legal action in an attempt to scare you into...yep...giving them money!!! In most cases, the debt collection agency will honor your demand letter and stop calling you. That doesn't mean that you are not still responsible for the debt, but at least they will stop call you. What about calling you at work? A debt collector is also prohibited from calling you at your place of employment if they are told orally or in writing that you are not allowed to receive calls at work. Again, most of the time, they will honor your request. What about calling your family or neighbors? They may ask about your place of employment as well. But, they may not discuss your financial situation! making statements such as "you may go to jail" if you don't pay! threatening to garnish your wages or seize your property if, in fact, they have not been awarded a judgment after several months of legal efforts. OK, so what can you do if you feel that a debt collector has violated the Fair Debt Collection Practices Act? First, contact your State's Attorney General's office to file a complaint. Usually, the best way to do this is to go on line. Next, you will want to file a complaint with the Federal Trade Commission. Your state's attorney general's office as well as the Federal Trade Commission doesn't take abusive debt collection practices lightly! In fact, you have a right to sue a debt collector in a state or federal court within one year of the violation. If you plan to do so, you should consult an attorney. Finally, dealing with debt collectors is no fun and is certainly not easy. But, knowing your rights can really help. Should You Be Afraid of Debt Collectors? A recent newspaper article in Portland, OR from The Oregonian stated that as many as 33% of all consumers will be dealing with debt collectors! Although dealing with a debt collector can be frustrating and annoying, there is really no reason to ever fear a debt collector. Believe me, I certainly understand why most people who find themselves in a financial situation that has caused some or all of their accounts to be turned over to a debt collector are nervous. The thought that you might lose your home, possessions and/or bank accounts would cause any sane person to be afraid. 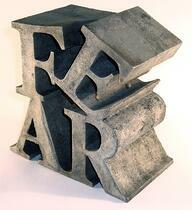 Well, the good news is that in most cases, that FEAR is not necessary! In this blog, I am talking about dealing with unsecured debts (credit cards, store cards, medical bills, etc.) and not secured debts such as a home mortgage or auto loan. It rarely does much good to talk with a debt collector on the phone. Once your account is 60-90 days past due, you can expect a call from either the RECOVERY DEPARTMENT of the creditor or from a DEBT COLLECTION COMPANY. While your account is still with the original creditor, the Fair Debt Collection Practices Act or FDCPA laws that allow you to put a stop to collection calls do not apply...yet! Most of the time, when the original creditor's agent calls, they are just trying to find out what your situation is and may offer a plan to help you get back on track. BE VERY CAREFUL!!! They may offer what is called a "HARDSHIP PLAN", whereby you agree to allow them to deduct a certain amount of money (usually less than the total amount your last statement DEMANDED) from your checking account for say, 6 months. At the end of the 6 months, they promise to "REVIEW" your case and get you started making regular payments again. But usually, after you have paid the agreed upon amount for 6 months, your have barely made a dent in reducing your balance and are right back to where you started! "I realize I've fallen behind on my bill and fully intend to get caught up soon. But, at this time, there is nothing I can do, so please stop calling me." Yes, I know I just said that they have the legal right (at this point) to call, but they may honor your request and leave you alone for a month or so. If the recovery department of the original creditor is unsuccessful in getting your to start making payments, the account most likely will be charged off and sold or transferred to a debt collector after about 120 days. You most likely will get a letter from the debt collector and no doubt will start getting phone calls! A Debt Collector's job is to get you to pay...period! Although there are plenty of "decent" debt collectors who actually may show some empathy for you, there are many that are just the opposite. These debt collectors will use all kinds of tactics to get you to pay up! Although most debt collectors follow the laws and/or guidelines of the Fair Debt Collection Practices Act, there are always a few "bad apples". Don't get into a dialog with a debt collector! While I think it's OK to have one short conversation with the original creditor, it's usually a whole different story now that your account has been turned over to a debt collector! If they have sent you a letter demanding payment, etc., get the address of the debt collector and write them a letter demanding that they cease calling you at home. If the calls don't stop (it will take a week or so) then you can file a complaint with your state's attorney general's office. Usually, the debt collector will stop calling as they can be fined very severely! Recall the account and turn it over to another debt collector and the process will start again. Yes, you will have to send another letter to the new debt collector to stop the calls! Turn the account over to a Law Firm that only practices debt collection. If your account is placed with a Law Firm that practices debt collection, you will get the same letters and calls, but now, you need to be careful. If the Law Firm decides to FILE A CLAIM for the debt you owe on behalf of the original creditor or the debt collector, you will get a SUMMONS. Most people think that a debt collector and/or debt collection law firm can just garnish your income, levy your bank account and/or put a levy on your home or other property. While it's true that they can AFTER they are awarded a judgment, they cannot do anything until then. That's why it is so important to take action if you receive a summons! In most cases, you can prevent the CLAIM from moving on to a JUDGMENT by contacting the attorney's office and working something out. Most "judgments" are awarded to the creditor/debt collector/plaintiff because the debtor didn't take any pro-active steps. These sources of income are exempt from garnishment. Notice, I didn't say exempt from state or federal taxes you may owe, but from garnishment for unsecured debts. The best way to put an end with dealing with debt collectors is to NEGOTIATE A SETTLEMENT of your account. That is, if you have some funds available to make an offer of 40%-60% of the balance. If not, you can still usually negotiate a settlement by agreeing to make monthly payments rather than a lump sum payment, but you may have to pay a little larger settlement. If your financial circumstances are such that you have no ability to offer a settlement, either in a lump sum or payments, then you may need to consult a bankruptcy attorney. Bankruptcy is a way to help those who qualify to put and end to debt collectors and get a fresh start. When is Debt Settlement Your Best Option? 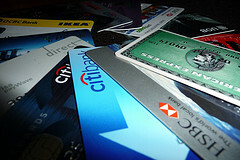 Too much credit card and other unsecured debt? Not able to keep up with the payments? You may be a prospect for Debt Settlement. Debt Settlement is a very effective program to help people settle unsecured debts for less than the total balance due. A Debt Management Program used to be called a "Credit Counseling Program" and sometimes it is still called by that name. In a Debt Management or Credit Counseling Program, a person signs up with a "non-profit" (only for taxable reasons, YES, you will be paying fees! ), and they will have set up a program with each of your creditors. Usually, the interest rates are reduced or sometimes eliminated, late fees and over-the-limit fees are usually forgiven after you have made a few payments, and your account is now classified as being paid as agreed or on time. However, the problem with a Debt Management or Credit Counseling Program is that there is very little forgiveness if you miss or are late on a payment! I've seen people who had been consistent for many months, and then, due to an emergency, just couldn't come up with the total due that month. The Debt Management Program was canceled or voided and they were back to square one! Also, in a Debt Management or Credit Counseling Program, the total monthly payment may be more that the total minimum monthly payment you are required to make now! And, the company is charging you a monthly service fee as well! So, if you go through the process of trying to enroll in a Debt Management Program and find out you cannot qualify, what now? A Debt Acceleration Program (sometimes referred to as a Debt Snowball Plan) is perfect for someone who is making the minimum monthly payments on each of their debts and yet, due to high interest rates and annual fees, realize that at this rate, it will take 15-20 years to pay off those debts! A person who should look into a Debt Acceleration Program also could add another $100 - $200 each month to help reduce or accelerate paying off these debts. Most people in a Debt Acceleration Program are DEBT FREE in 48-60 months, saving thousands of dollars in interest and fees! I prefer the Debt Acceleration Program to a Debt Management or Credit Counseling Program because as far as your credit report is concerned, you were a very consistent debtor and not only paid all of your payments on time, but actually did so sooner than required! ...just cannot meet the total minimum payments due on your unsecured accounts and cannot qualify for a Debt Management or Debt Acceleration Program? Debt Settlement is designed for people who have a severe financial hardship, have tried to keep up with all of the bills, but some or all of their credit card accounts and other unsecured debts have been turned over to debt collectors. Once you know where you stand, you will have an amount (that you can afford) deposited into your Debt Settlement Reserve Account (FDIC insured bank) monthly. The Debt Settlement company will be contacting your creditors and/or debt collectors to arrange settlements. As you reserve account grows, each of your accounts should be settled for much less than the total balance due. But finally, what if you just are barely making ends meet on your basic bills and have little or nothing left over to put towards a Debt Settlement Program? The Chapter 7 is not used as much these days as it is basically designed for someone to liquidate any assets they have (obviously, not very much) and that small amount is paid to each creditor, and the balances of your debts are "forgiven". In a Chapter 13, a bankruptcy attorney will present a type of repayment plan to the bankrutpcy court based on your financial status. Usually, a person will be making a monthly payment of $200-$400 (or whatever your bankruptcy attorney comes up with) for about 3-5 years. Each of your creditors receives a small portion of the balance due. At the end of the Chapter 13, the balances of your debts are forgiven. Oh, by-the-way, if you receive a 1099-C, in most case, you should not be liable for any additional taxes due on the amounts forgiven. Debt Settlement is a great program for the right person. When It Comes to Debt Settlement, One Size Does NOT Fit All! A recent article in our Portland, OR newspaper, The Oregonian, stated that one in every three people in America are facing debt collection. If you are one of the 33%, what are your options? Sadly, when faced with the annoying and often harassing tactics used by many debt collectors, people are often given only one choice...debt settlement. But, after over 11 years helping people deal with having too much debt, I want you to know that although debt settlement is often a very viable choice, and often the only choice to prevent bankruptcy, it is not the only choice. In other words, ONE SIZE DOES NOT FIT ALL! Unfortunately, many debt settlement companies ONLY offer and therefor ONLY recommend debt settlement as the solution to dealing with a severe debt load. There are so many different possible scenarios or various financial circumstances that people are facing that a quality, experienced company that assists people with debt will do a thorough analysis to determine the proper program. It is much like a doctor who should do a thorough exam before prescribing a drug or procedure! The first step is to determine what kind of "DEBT" you are dealing with. For example, SECURED DEBT, such as a mortgage, auto loan, or any other loan that is secured by property (usually the property itself), must be dealt with differently than UNSECURED DEBT. Once we have identified what type of debts you are facing (and there are usually a combination), then we need to determine where you are FINANCIALLY. In other words, after you pay all of your basic bills to live...mortgage or rent (all secured debts), as well as... food, utilities, gas, medicine, insurance, etc., is there any money at the end of the month to pay towards those debts? The easiest way to determine where you stand is to complete a simple, Household Budget Worksheet. Once you've detemined where you stand, then we can look at the various options. A DEBT MANAGEMENT PROGRAM (often referred to as Credit Counseling), has been used by people with debt problems for years. This program is designed for someone who is currently making all of the minimum payments required on their unsecured debts, but because of the HIGH INTEREST RATES (APR) and ANNUAL FEES and OTHER FEES (late fees, over-the-limit fees, etc. ), realize that they are not making any progress to actually paying off these debts. Did you realize that if you have a credit card with a balance of say, $5,000 and an annual percentage rate (APR) of 19%, it may take you 15-20 years or more to pay the card off by making the monthly minimum monthly payment required. For more information: DEBT CONTROL: 4 PROGRAMS THAT WORK! If you are barely making all necessary payments (secured) as well as your monthly minimum payments, but there is nothing left over, then a Debt Management Program may be best for you. Originally called by various names such as a "Snowball Plan" or a "Roll Up Plan", in a DEBT ACCELERATOR PROGRAM, you are going to pay off your debt in an average of 4-5 years without enrolling in a Debt Management Program (which may or may not harm your credit score). Basically, in a Debt Accelerator Program, you will be making the normal minimum payments each month as before, but you are going to increase one of your debts by say $150/month. There are several theories about whether you should accelerate the highest balance or interest rate first, but I don't want to get into that here. I recommend that you start with the lowest balance first, make the minimum due plus the additional $150, and pay that one off quickly...you'll be amazed! And, not only amazed, but excited to go to the next debt! Now, you take the former minimum payment (say it was $50) and after adding the $150, were making $200 per month instead of just the $50 and you add that $200 to the next card or debt's minimum due. Let's say the next one is $75. Now you are making a total of $275 towards the next card ($50 + $150 + $75 = $275). Get the idea? Soon, you keep "Accelerating" each debt and you will be DEBT FREE in a much shorter time and save thousand of dollars in interest and fees! What if not only do you not have any extra money to put toward a Debt Accelerator Program, you can't even make the minimum monthly payments your unsecured debt require now? THIS IS WHERE A DEBT SETTLEMENT PROGRAM MAY COME TO YOUR RESCUE! Rather than opt for bankruptcy, millions of people have used a Debt Settlement Program to pay off all of their unsecured debts and avoid bankruptcy. Debt Settlement is a program designed for those who are really in trouble, fincially. Usually, most or all of their debt have gone to debt collectors who are are calling severaly times a day and sending threatening letters! You will be making a monthly contribution to a bank insured (FDIC) account to hold those funds until there is a reasonable amount built up to make a SETTLEMENT OFFER. Again, depending on several factors, most settlement offers are going to be around 50% of the balance. Some are for more, other less. People often ask if a Debt Settlement Program hurts their credit score. But, they are not thinking the process through. If you're accounts have gone to debt collectors or judgments, your credit score has all ready suffered! Once you get all of your debts settled...ie., you have $0 balances, your credit scores will improve! OK, but what if you can't even afford to make a contribution to a Debt Settlement Program? Then, it is time for you to seek BANKRUPTCY PROTECTION from your creditors! 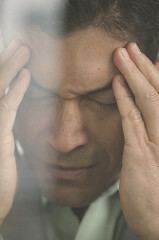 Again, unfortunately, their are many Debt Settlement Companies that only offer one solution to everyone's debt problem. But, as you can see, ONE SIZE DOES NOT FIT ALL, when it comes to dealing with debt. Seek the counsel and advice of a qualified Bankruptcy Attorney. You should be able to have a FREE Consultation and hear about your options. In fact, good bankruptcy attorneys will work with you as far as their fees go. If not, seek out another bankruptcy attorney! I hope I have made my point that when it comes to DEBT SETTLEMENT, one size does not fit all!